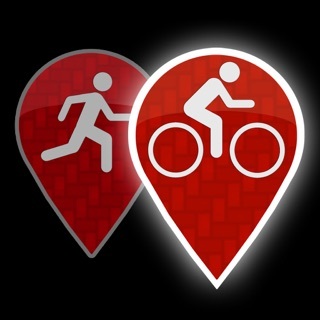 • If you exercise on a regular basis and want to improve your cardiovascular fitness, you need this App! 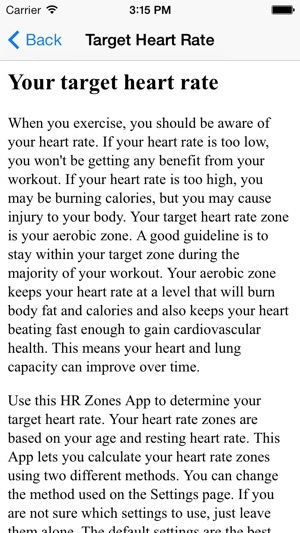 • Use this App to determine your target heart rate exercise zone. Your optimum heart rate zones are based on your age and resting heart rate. 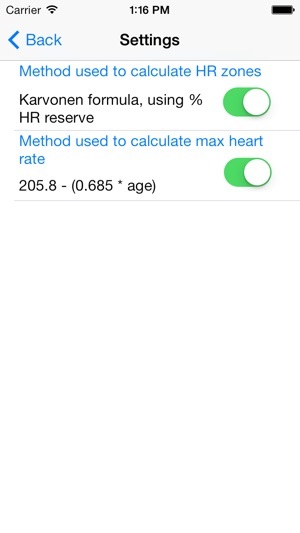 This App will calculate your unique heart rate zones and let you view them easily. • When you exercise it is important to be aware of your heart rate. If your heart rate is too low you won't be get much benefit from your workout. If your heart rate is too high you may be burning calories, but you may also cause injury to your body. 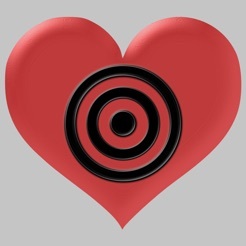 This App will help you exercise in your optimum heart rate zone. • A good guideline is to stay within your target zone during the majority of your workout. This will keep your heart rate at a level that will burn body fat and calories and also keeps your heart beating fast enough to gain cardiovascular health. Doing so means your heart and lung capacity can improve over time. • Heart rate zones and exercise ability vary from person to person. 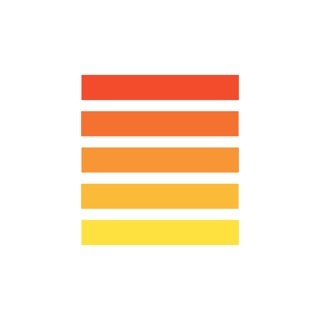 Use this App as a guide. If you have any questions about your heart rate zones please consult your doctor. Also be sure to discuss any new exercise routine with your doctor before you begin. 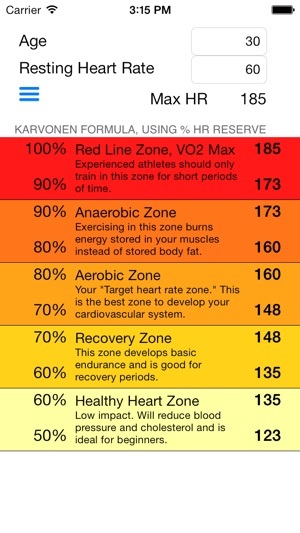 This app is a great time saver to be able to calculate karvonen heart rate training zones. There is also a lot of useful information in the app. I have one small request..in my NASM book they go with 3 training zones: 65-75%, 76-85%, 86-95%. I'd like to see a setting option to make these the displayed zones because I will train clients based on these three zones! This app is great as it does all the work for you calculations for you. Although I use a separate spreadsheet to calculate where I want to train at, I do find this very handy to do a quick peak to remind me my HR target zones. My clients can download this and keep it with them to learn where their zones are for fat vs cardio and when to push through.